To cope with the increasing influence of technology in the retail and wholesale market, business owners have to constantly come up with new and innovative ideas to attract potential customers. 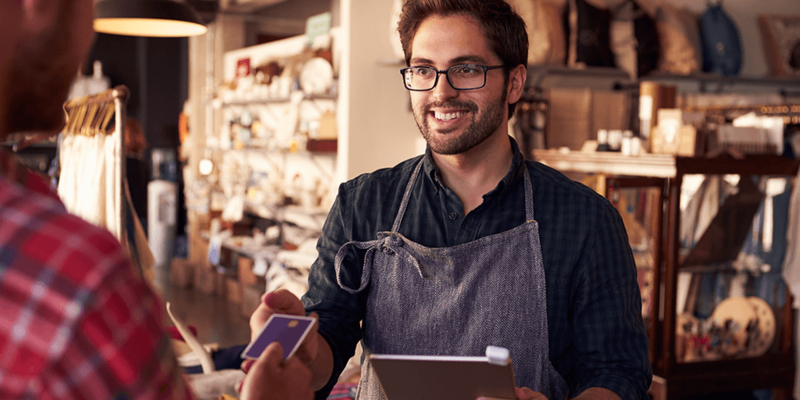 One such method is omni-channel retailing, a popular technique that lets customers use multiple sales channels to make a single transaction. In this article, you will learn more about omni-channel selling, how it is different from multi-channel selling, and whether omni-channel selling would be right for your business. What is omni-channel retailing? How is it different from multi-channel retailing? Multi-channel selling is when a business provides their customers several different sales channels, such as physical stores, online stores, and mobile apps, and the customer gets to choose one per transaction. With omni-channel selling, customers can use several sales channels to help them make a single purchase, from doing their research and finding what they’re looking for, to eventually placing an order. All of these sales channels must be integrated with each other in order to be classified as an omni-channel strategy. Consider a scenario where a business uses 3 different sales channels to sell its products: a physical store, an online store, and accepting orders over the phone. This is a typical scenario for multi-channel retailing, where a business offers its customers multiple sales channels to buy from. Let’s say a customer first goes to the store, takes a look around, and then leaves. He wants to make sure that he’s paying a reasonable price for the products, so he visits the store’s website and compares their prices with other vendors. Happy with the initial store’s prices, he sets up an account with them and begins to add products to his shopping cart. Halfway through the purchase, however, he finds that the store takes customised orders, so he calls them. If the store had only offered multi-channel selling, then the customer would have had to repeat his order. But since the store offers omni-channel selling and he already has an open account, all he has to do is give his phone number or email address to help the sales person pull up his account and see what’s in his shopping cart. The customer can just confirm his order, add the custom elements he wants, and complete his purchase over the phone. This scenario is made possible by omni-channel retailing. Is omni-channel selling right for your business? One of the biggest advantages of omni-channel selling is providing your customers with a smooth and seamless experience across all your sales channels. While multi-channel selling means customers are given a choice of different channels of which they choose one, omni-channel selling means they don’t actually have to choose one, because they can switch between several during the purchase process. This increases the probability of them actually buying something and further aids in customer retention. According to a survey organized by Aspect Software, 91% of customers say that when they contact customer service about a previous issue they should be able to pick up where they last left off. With multi-channel retailing, every platform, branch, and process is independent, meaning that a sale made through one channel isn’t reflected in the other channels. This results in you having to manually update each system every time there’s a change. With omni-channel retailing, since every channel of your business is integrated with every other, you don’t have the hassle of updating information in several systems. This cuts down the chances of errors such as overstocking and understocking, which therefore improves the quality of your selling strategy. Regardless of the product they are buying, customers like to get something extra out of the purchase, whether it’s a better offer or discount, improved quality, or even a customised order. Discounts and coupons used to be pieces of paper that could only be used when shopping from a physical store. But now, since online points and digital discounts have replaced traditional coupons, an omni-channel strategy can help you offer incentives through any channel. If, for instance, all of your buyers receive points for every purchase, which they can use to get a discount on their next purchase, the incentive helps bring customers back. According to a survey conducted by Worldpay, 67% of customers start shopping on one channel, and finish on another. Analysing each channel and evaluating stats like which ones are frequently used, complete sales faster, are more profitable to the business, will help you figure out which channels work and which don’t. You can also conduct surveys yourself, asking customers how they’d prefer to pay. With all this information, it’ll be easier for you to link your channels together for a better omni-channel experience. How does Zara use omni-channel selling? Sales assistants walk around carrying iPads that customers can use to place orders for apparel that was unavailable in the physical store. The store notifies customers when their order has arrived so that they can come pick it up later. Smart mirrors are placed throughout the store to show customers a hologram-style reflection of what they’d look like wearing an outfit, without them actually having to try it on. Self-service checkout counters allow customers to pay for their purchases without the help of a cashier. For customers who would rather skip paying delivery charges, Zara allows them to order online and collect their purchases from the store. Customers can drop by and scan the receipt for their purchase, and a specially-programmed robotic arm will retrieve their package. Zara’s omni-channel strategy allows them to give their customers a seamless experience across all channels, increase customer retention, improve the quality of their sales transactions, and more. Zara’s strategy is as seamless as it is only because they put in the time and money to experiment with different channels and figured out which ones would work together well. Omni-channel retailing, an optimized take on multi-channel retailing, has become a trend and is now common amongst successful retail and wholesale businesses. It helps unite different divisions of a business together, provides a smooth customer experience, and also helps businesses understand their customers better. Of all the new selling methods, omni-channel seems to be here to stay, so take a look at your business and try to figure out if omni-channel selling would be a good fit for you.